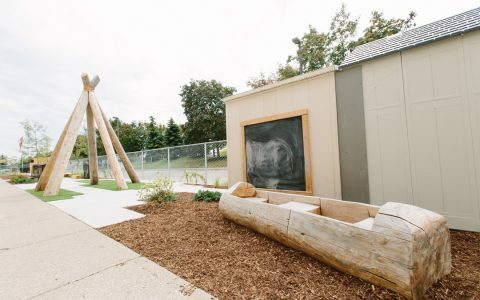 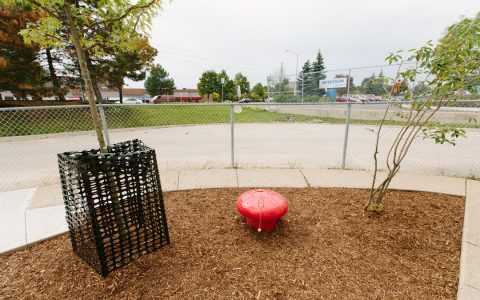 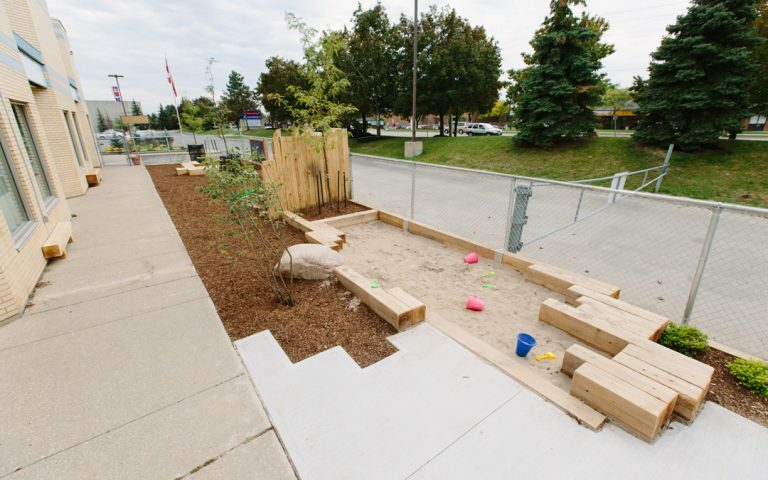 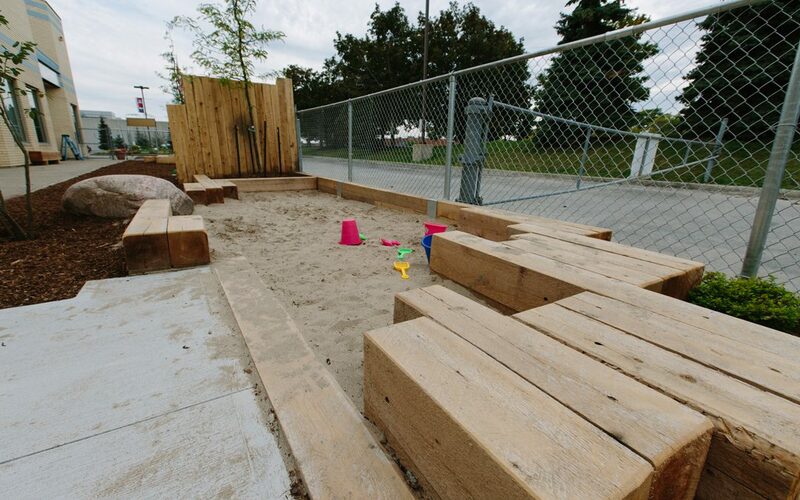 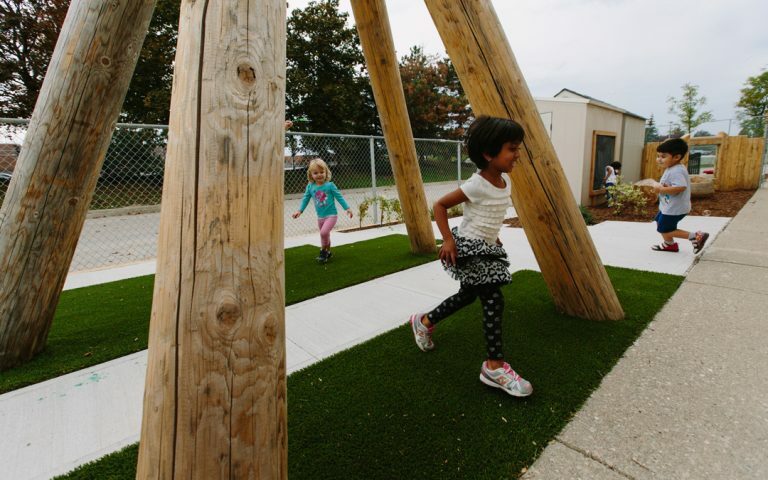 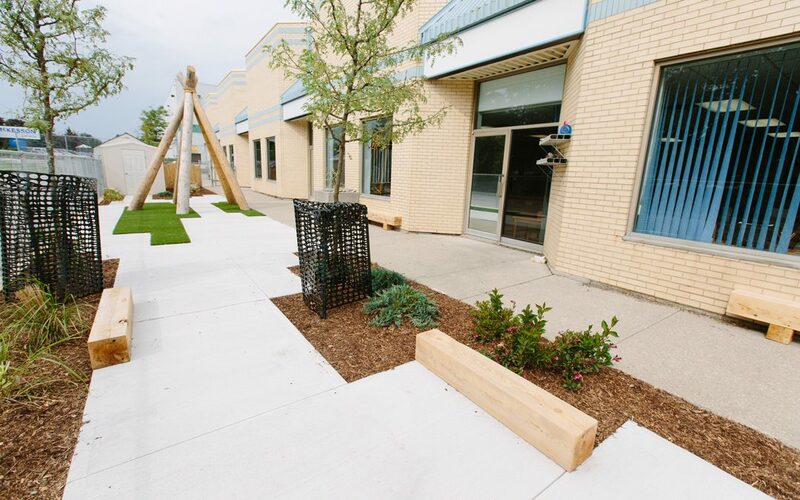 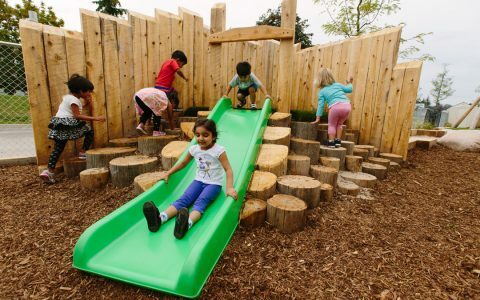 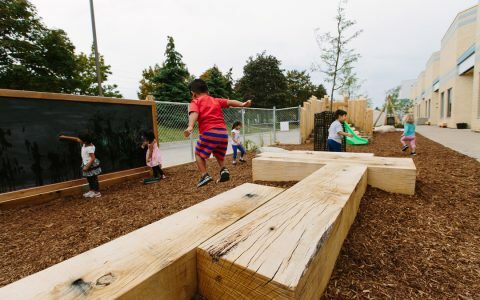 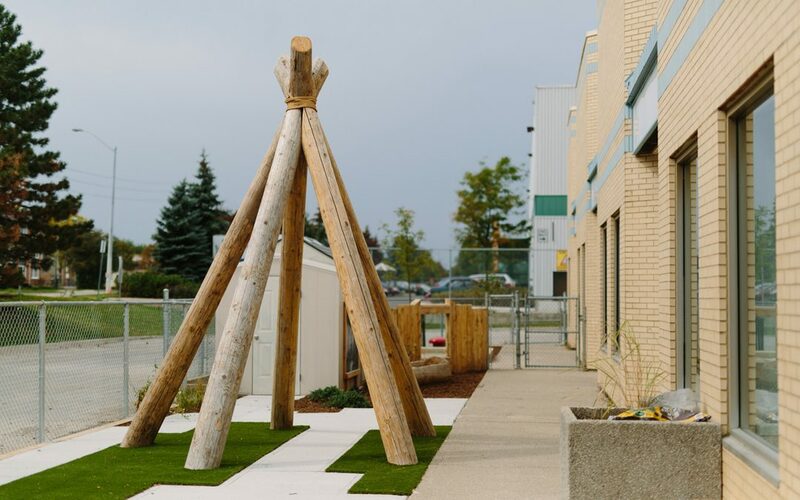 Tall Pines School approached us to craft a design that would utilize their long and narrow site so that it could function as three separate play spaces. 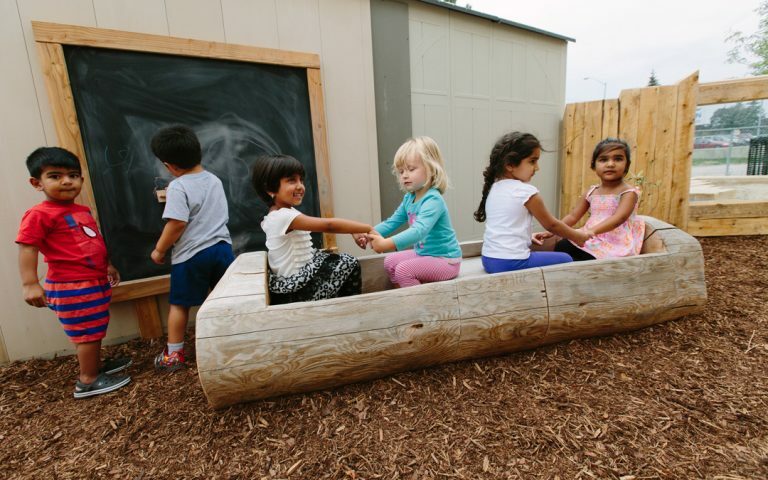 One intended for for infants, another for prima casa, and a third for casa age groups. They also wanted the design to relate to the school’s namesake, which is dually associated with nature and first nation’s culture. 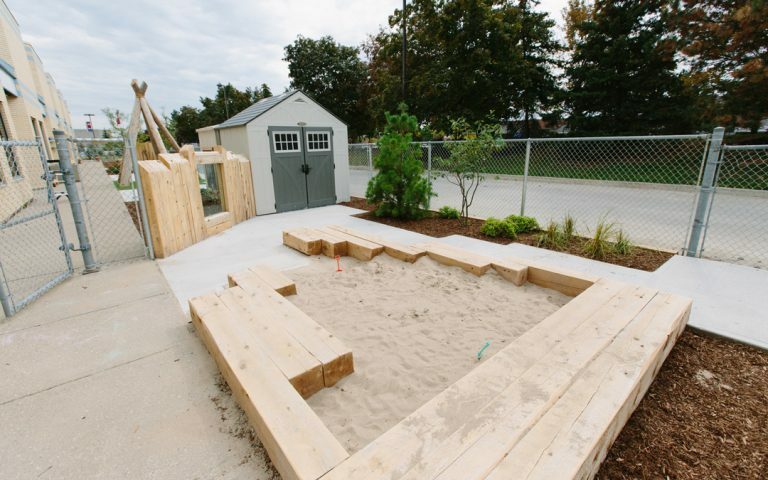 The shape of this space was the greatest challenge in creating a cohesive and functional design. 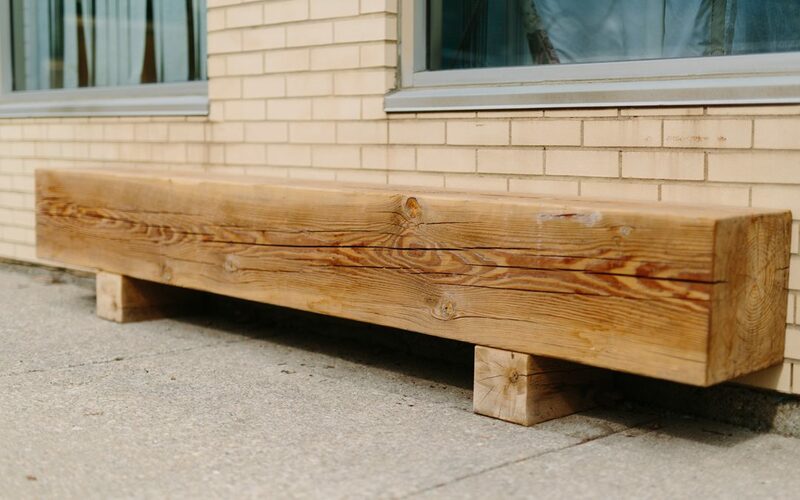 The long, narrow profile is reminiscent of the Highline project in NYC, which in turn inspired the final concept. 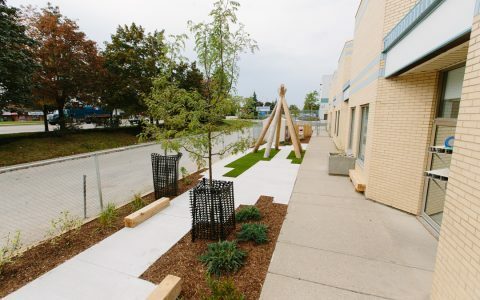 Like the Highline, the interjection of modern concrete paving into a natural setting creates atmosphere and energy, and the irregularity of the paving suggests paths without prescribing direction of movement. 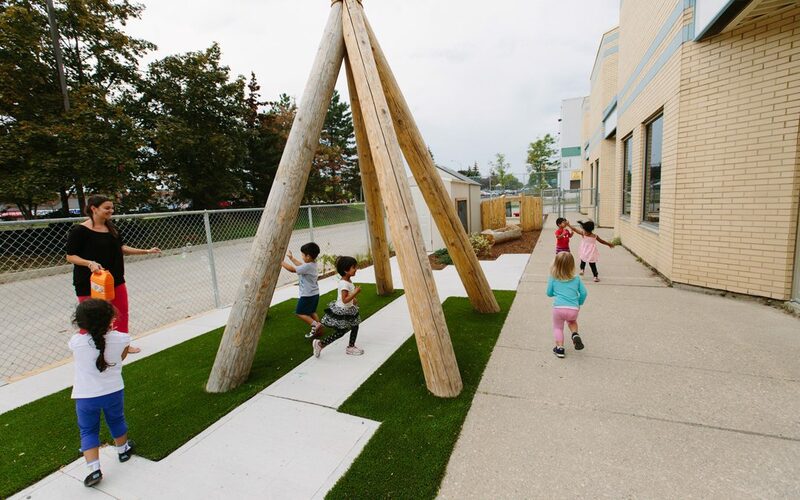 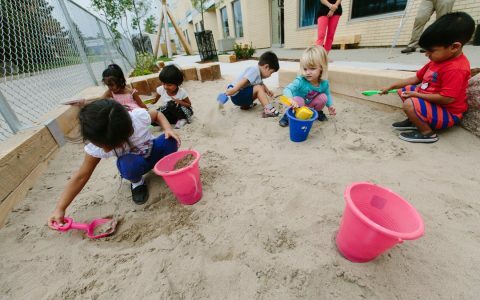 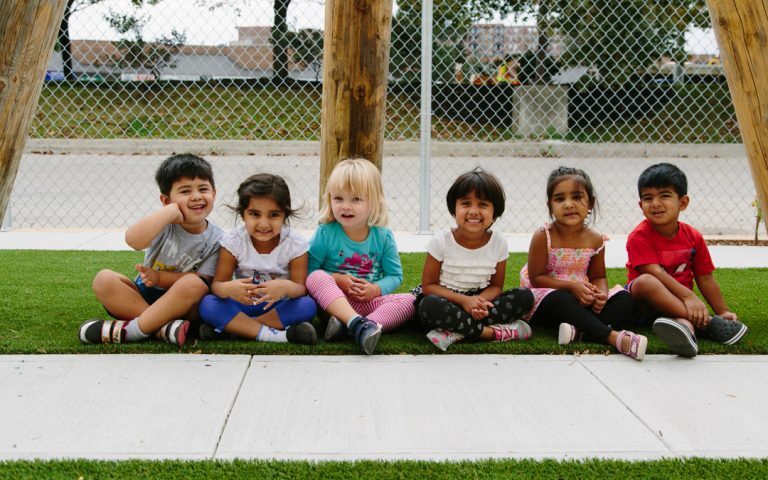 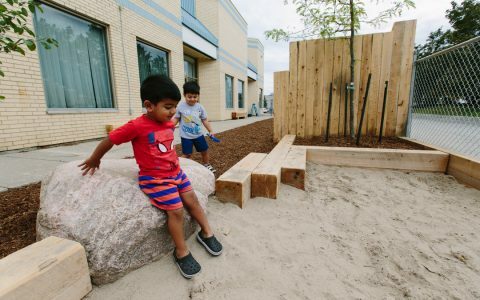 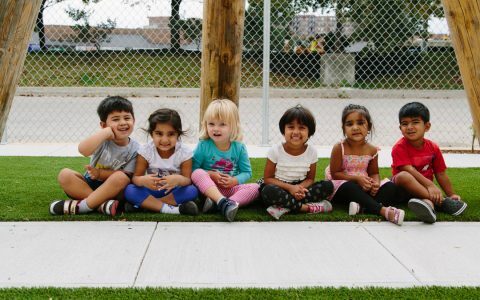 Play elements were arranged to create a natural rhythm of play and exploratory experiences for both the active and passive child throughout each space.